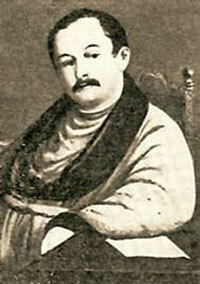 Mily Alekseyevich Balakirev (born January 2, 1837 [December 21, 1836, O.S. ], Nizhny Novgorod, Russia – died May 29, [May 16, O.S. ], 1910, St. Petersburg), Russian composer, conductor, who was the founder and leader of the group of composers who attempted to establish a Russian national music known as the The Five (The Mighty Handful; Moguchaya Kuchka). Among Balakirev’s most important compositions, many of which are based on Russian folk songs, are the symphonic poems Russia (1862) and Tamara (1882); Islamey, an Oriental fantasia for piano, written in 1882; and piano arrangements of the works of Berlioz, Glinka and others. Mily Balakirev was born in Nizhny Novgorod, Russia into a family of a minor government official, Alexey Konstantinovich Balakirev. Mily received his early musical education from his mother; by the age of four he could replay tunes on the piano. When Balakirev was 10 he was sent to Moscow to study with Alexander Ivanovich Dubuque, who gave Balakirev a thorough grounding in piano playing and taught him Johann Hummel’s Concerto in A Minor. But after ten lessons, the money ran out and Balakirev had to return home. Later he studied music with Karl Eisrich, who introduced him to the music of Chopin and Glinka. Eisrich introduced Balakirev to his patron Alexander Ulybyshev, at that time the leading musical figure and author of books on Mozart and Beethoven, with whom Balakirev later studied music and under whom he acquired a thorough knowledge of music history and learned orchestration. Eisrich and Ulybyshev provided Balakirev with further opportunities to play, read and listen to music, and to rehearse other musicians in orchestral and choral works, including, when he was 14, Mozart’s Requiem. Balakirev had the use of Ulybyshev’s music library and at age 15 began to compose and was allowed to rehearse the local theatre orchestra, he was allowed to lead rehearsals of Beethoven’s First and Eighth Symphonies. Balakirev’s first surviving compositions date from the age of 15 – the first movement of a septet for flute, clarinet, piano and strings and a Grande Fantasie on Russian Folksongs for piano and orchestra. Alexander Dmitryevich Ulybyshev (1794 – 1858), was a wealthy landowner and capable musical amateur who had his own orchestra, an influential biographer of Mozart and Beethoven and the most important early patron of Mily Balakirev. Balakirev’s formal education began at the Gymnasium in Nizhny Novgorod. At 16, having completed his secondary education, Balakirev spent the next two academic years (1853-1855) in Kazan, sitting in on mathematical and scientific courses at the university but also keeping up his ties with Ulybyshev. In 1855, Balakirev composed his Piano Fantasia on Themes from Glinka’s a Life for the Tsar. In 1855 Ulybyshev took him with him to St. Petersburg, where Balakirev met Mikhail Glinka and made up his mind to pursue a musical career. Glinka appreciated Balakirev’s talent, and offered advice and encouragement. Balakirev made his debut in a university concert in February 1856, playing the completed movement from his First Piano Concerto Balakirev was strongly influenced by the music of Glinka and one of his earliest symphonic poems, Overture on a Spanish March Theme (1857), recalls Glinka’s Spanish Overtures. Balakirev wrote incidental music to Shakespeare’s play King Lear in 1859-1861, and its resulting popularity enhanced his reputation. Within the next decade he had become teacher and mentor of two young composers, César Cui and Modest Mussorgsky. In 1862, Balakirev established the Free School of Music in St. Petersburg with Gavryil Lomakin, with the support of Tsar Nicolas. Not only was the tuition free, but the pupils were also supposed to be free to do their own thing. This, naturally, produced a nasty little paper war between Balakirev and the conservatives. When Lomakin resigned from the Free School in November 1867, Balakirev assumed its directorship. 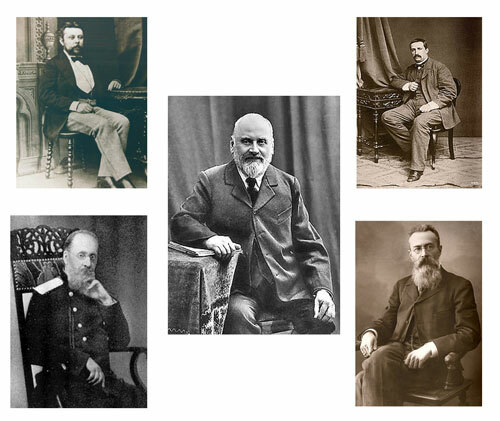 In 1861 and 1862 Nikolai Rimsky-Korsakov and Aleksander Borodin joined Balakirev’s circle of disciples. In the 1860s Balakirev established himself in St. Petersburg as the leader of a group of young composers, later known as The Five (The Mighty Handful; Moguchaya Kuchka), seeking a way to express musically the spirit of Russia. Balakirev wrote a number of works based on Russian folk themes and collected and arranged many Russian folk songs, as well as those from other nationalities. The Five studied Russian ecclesiastical melodies, folk songs and dances, and the Oriental influences in Russian art. In their compositions, they strove for novelty in harmonics and orchestration. Balakirev was the soul of the movement and both the teacher and critic of his colleagues. The music of the Russians Mikhail Glinka and Alexander Dargomyzhsky influenced their development in one direction, and the music of more cosmopolitan composers, such as Hector Berlioz, Robert Schumann, and Franz Liszt, in another. During the 1860s Balakirev was at the height of his influence. In the summer of 1860, he went in search of Russian folk songs along the Volga. He collected folk songs and introduced them in his Second Overture on Russian Themes (1864), which ultimately became the symphonic poem Russia. In 1866, Balakirev’s Collection of Russian Folksongs were published. While he was spending summer holidays in the Caucasus, Balakirev was gathering themes and inspiration for his symphonic poem Tamara (1867-1882) and his brilliant piano fantasy Islamey (1869), premiered by Nicholas Rubinstein in December. Rubinstein played the work at concerts in Paris and elsewhere, and it achieved great popularity in the West. Balakirev published the works of composer Mikhail Glinka and visited Prague to produce them. In 1867-1869 he conducted the symphony concerts of the Russian Music Society. It was at Balakirev’s instigation that Tchaikovsky wrote the overture-fantasia Romeo and Juliet (1869), which Balakirev immediately persuaded the composer to revise. As a result of his increasing workload, Balakirev suffered a mental breakdown, and in 1872 he temporarily retired from the music world, taking up various clerical posts instead. Over the next few years he gradually returned to composition, and in 1881 he accepted an invitation to resume his directorship of the Free Music School. In 1883, Balakirev accepted the position of Music Director of Imperial Chapel, where he worked alongside Nikolai Rimsky-Korsakov until 1895. During this later period Balakirev sought out Tchaikovsky once more, and persuaded him to write the symphony Manfred, Op. 58 (1885). 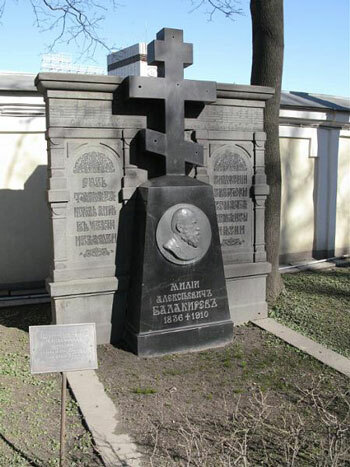 Mily Balakirev died on 29 May 1910 and was buried in Tikhvin Cemetery at the Alexander Nevsky Monastery in St. Petersburg.